I’m old school. Bring me an old fashioned or a 50/50 gin martini and I’m a happy drinker. 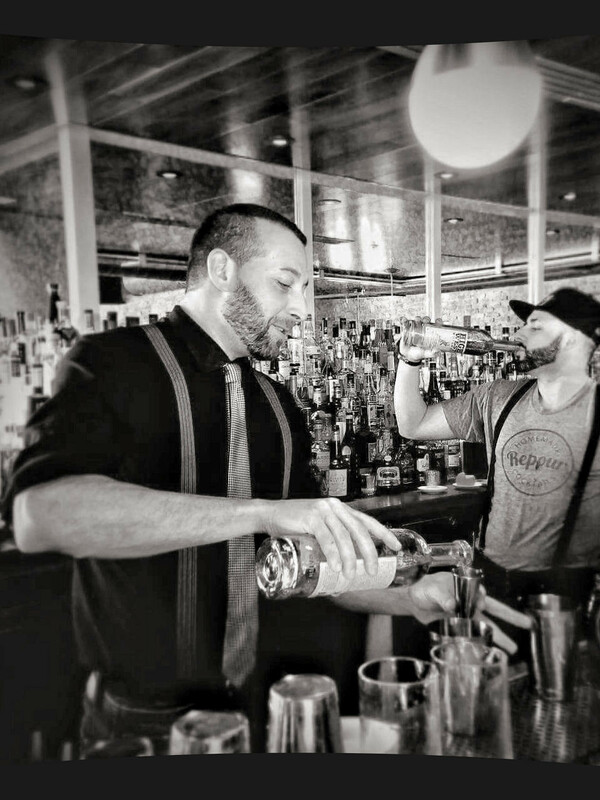 South Beach’s Repour Bar, tucked inside the Albion Hotel, is an oasis of inventive cocktails. Escape from the hectic pace of Miami while you lounge, sip & groove to hip music. There I found Brian Sassen mixing up classic cocktails and charming guests. Known for … crafty improv, creating a fun, party vibe, detail and organization. Your go-to drink is… stirred and boozy cocktails, generally takes on the old fashioned. Must have Garnish … fresh fruit and herbs. Essential Bar accessory … barspoon. beyond stirring cocktails, it’s an extension of my hand and a highball builder. Best local bar… easy to say Repour, which I honestly believe. Sweetwater in Boynton was my go to for years. You are loving … life. every day is a gift. This time next year you’ll be drinking …something native in an area of the world I have yet to visit. Socialize with Brian on Instagram and Twitter.